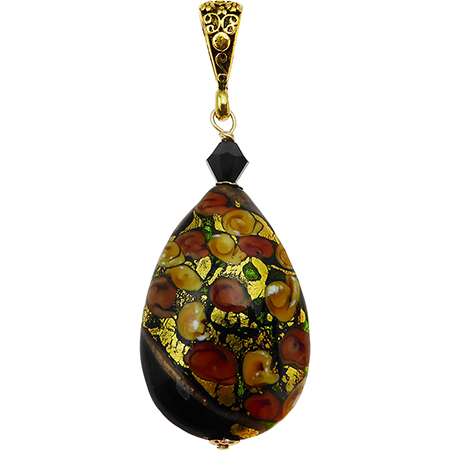 These beautiful Bed of Roses Teardrops need little to make a stunning pendant. Each of the tiny roses are made by hand one by one in Venice. The floral bail is perfect with the roses. The components are below, input the quantity you want and click to add to cart.